I went into The Secret Diamond Sisters expecting some Gossip Girl in Vegas, and that’s precisely what I got! I just love it when a book meets my expectations, don’t you? The Secret Diamond Sisters is a story awash with rich people and their drama, which is why I get to use my favourite term to describe it: Rich People Drama. I’ll be honest, I’m not a fan of any of the characters. There is nothing about Savannah, Courtney, nor Peyton that appeals to me. They are more like cardboard cut-outs than real characters with real personalities. They’re very generic, and very cliché. And, surprisingly, with this story that is completely fine by me! The three girls go to live in the penthouse of their super rich father’s hotel, and from there all the delicious drama that made Gossip Girl and It Girl so appealing to me ensues. There are even little segments between chapters, showing posts from an internet forum where people gossip about what’s been going on with the rich Las Vegas teenagers. It’s all very standard, and I don’t feel that The Secret Diamond Sisters brings anything new to the table. That said, I still enjoyed it, because RPD is my jam. My lady jam. I’ll definitely be reading the next book in the series to see what other craziness happens, but that doesn’t come out until October so in the meantime I plan on maybe rereading the It Girl series. That was always my favourite because it merged the Gossip Girl style with boarding school, which is another of my favourite things. 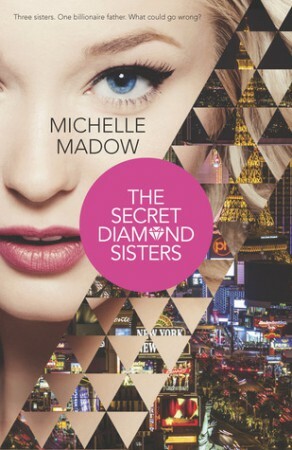 To wrap up: The Secret Diamond Sisters is nothing outstanding, but if you’re looking for a quick read to get you through a hot summer’s day, I would recommend this one. Especially if, like me, you love a bit of teenage high school drama, but with millionaires. I watched the first couple of seasons and then everything went downhill very fast. I felt similar when I read it. It was a decent story I kind of enjoyed reading, but the characters seemed very 2 dimensional and cookie cutter-ish. I wasn’t really wowed, but I will be awaiting the next book just the same. I love Gossip Girl so much. Probably just because I know my life will never be like that, nor do I really think I would want it to. But watching all the drama go down is just so satisfying. I’ll definitely be picking this one up. Great review! P.S. I like your Pitch Perfect reference. Haha, definitely! I wouldn’t want my life to be like that (although I’m not opposed to having more money. Where is my billionaire father? ), but it’s always fun to read about people who live the life! I definitely agree with you! In general, it’s a pretty bad book because it’s pretty much cliche after cliche and it’s super predictable. Even so, it was just really addicting! Rich People Drama describes it perfectly! I don’t know how I feel about bad books that are super addictive – I never know how to rate them! RPD – love that term! 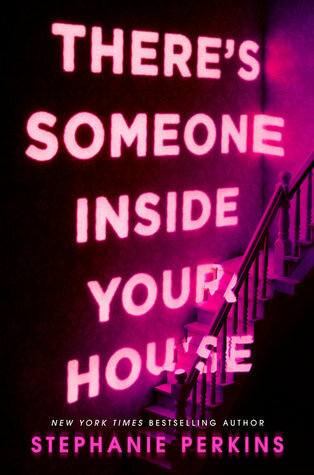 I am not into Gossip Girl-esque books, but I can totally see myself reading it to pass a day by for the sake of it. Too bad there was not anything outstanding or fresh about it! RPD novels tend to be so repetitive.